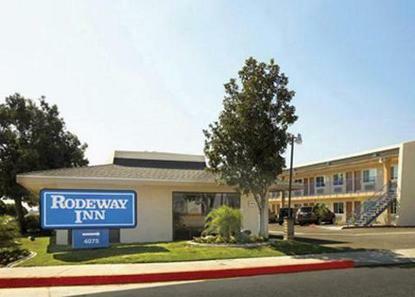 The Rodeway Inn Ontario Airport / Mills Mall is conveniently located on Interstate 10, adjacent to the Ontario International Airport. This Ontario hotel is minutes from popular attractions like the Ontario Mills Mall, the Ontario Convention Center, the California Speedway, Raging Waters San Dimas and the Scandia Family Center. Disneyland is 36 miles away. Several local wineries close by. A variety of restaurants and shops are located in the surrounding area. Guests will enjoy full-service amenities like free continental breakfast, featuring fresh seasonal fruit, assorted pastries, cereal, juice, milk and coffee. Pet Charge: 10.00/per pet/night limit to 2 pets per room under 25LBS.